We were looking for an area of professional offices, centrally located in Panama City Beach and if it had a place to eat close by that would be a plus. Village ofGrand Panama had all of that! We even liked the fact that there is room for other professionals needing a similar location! WR Property Management (nice folks 850-303-2835) tells us that there is a build out about to start for another Doctor. Exciting times! We are hoping that the other spaces available will continue to be taken by professionals from all types of fields. Medical, dental, accounting, lending, banking, real estate, travel agency, lawyer, day spa… really any professionals needing about 1500 sqft (or more) that would like to be in a stylish center not surrounded by retail shops. 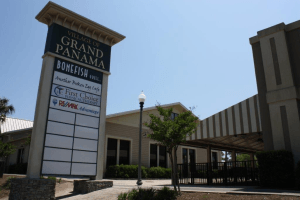 Our neighbors in Village of Grand Panama on Hutchison Blvd are Dr. Ken Finch, Mason Title, RE/Max Advantage, Hess Entertainment, Another Broken Egg and Bonefish. We chose to move to Village of Grand Panama for more than one reason, but near the top of the list would have to be our neighbors!